NEW YORK, NY - April 10, 2018 - AMC announced today that it has greenlit a new supernatural horror series, "NOS4A2," based on the bestselling novel of the same name by Joe Hill, who will also executive produce the series. Jami O'Brien ("Fear The Walking Dead," "Hell On Wheels") created the show for television, and will serve as showrunner and executive producer along with executive producer Lauren Corrao, Co-President of Tornante Television. The series is produced by AMC Studios in association with Tornante Television. The series will premiere with 10 episodes in 2019. "NOS4A2" introduces Vic McQueen, a young, working class artist who discovers she has a supernatural ability to track the seemingly immortal Charlie Manx. Manx feeds off the souls of children, then deposits what remains of them into Christmasland - a twisted Christmas Village of Manx's imagination where every day is Christmas day and unhappiness is against the law. Vic must strive to defeat Manx and rescue his victims - without losing her mind or falling victim to him herself. AMC previously announced that it had opened a writers' room last year for the project under the network's "scripts-to-series" development model, which the network has successfully utilized for current series such as "The Son" and the forthcoming "Dietland," and "Lodge 49." The show will be distributed internationally by AMC Studios. "'NOS4A2' continues in AMC's rich tradition of immersive dramas that combine otherworldly stories with relatable relationships and big emotional themes," said David Madden, president of original programming for AMC, SundanceTV and AMC Studios. "Jami O'Brien and the writing team have vibrantly brought Joe Hill's incredible story to life for the small screen and we are pleased to be making this diabolically unique new show under the AMC Studios shingle, in association with Tornante." "We are pleased that Tornante found the perfect partners in Jami and AMC to develop and broadcast this unique and original series with complex characters and themes based on the Joe Hill book," said Michael Eisner, owner of Tornante. 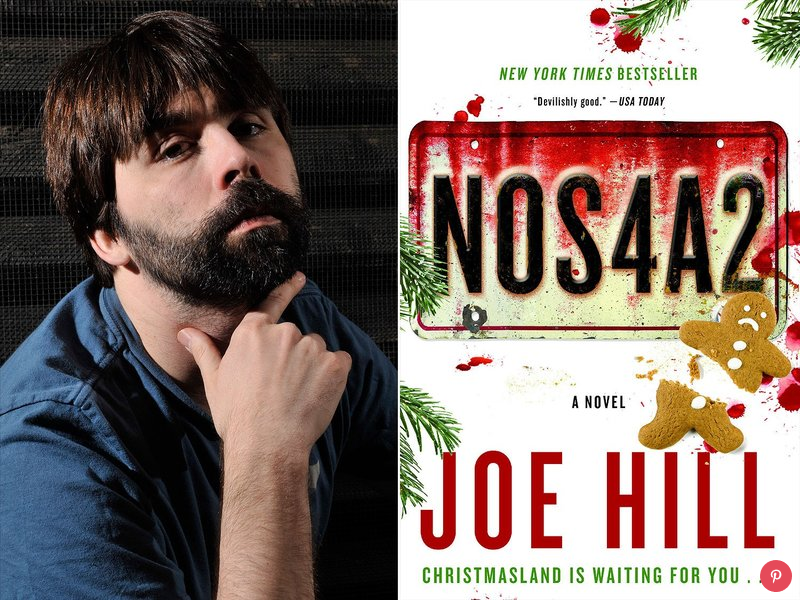 "I couldn't be more excited about the forthcoming adaptation of NOS4A2. I know it's in good hands with showrunner Jami O'Brien: her beautifully composed scripts show a writer at the height of her powers, one who has an exquisite touch with character and a relentless instinct for suspense," said Hill. "AMC's record speaks for itself: who wouldn't want to be in business with the 'Mad Men' who 'Broke Bad' and made 'The Dead Walk?' And Tornante's dedication to bringing singular visions to TV has freed everyone involved to do their best and truest work. I can't wait to see Vic McQueen turn the throttle and go after Charlie Manx in 2019. Let's ride." 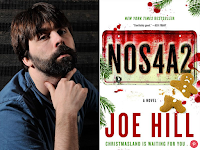 "I loved Joe Hill's fantastic book from the moment I read it, and look forward to continuing to work with Joe, AMC, and Tornante on this exciting material," said O'Brien.